Sunday Dec 3rd at Meat Market. This concert will showcase a diverse range of composers and ensembles who will present new works inspired by traditional Indonesian music. This year's event will see a broad spectrum of interpretations including modification of traditional ensembles, arrangements for western instruments and the use of electronics. 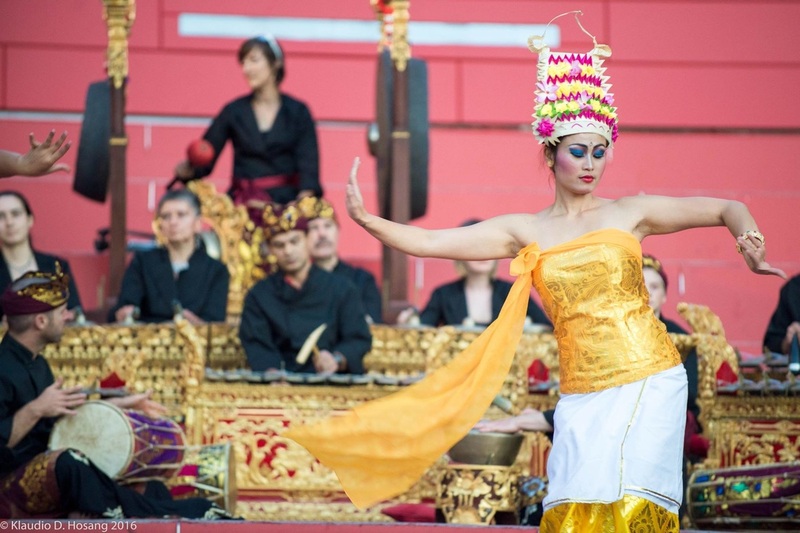 Throughout this interactive event connections between Indonesia and Australia, performers and audiences, innovation and tradition will be explored. 2017 Featured International Artist: Pande Yande King Mardiana. Come and listen to the mesmerising sounds of Balinese 'Gamelan' music in nearby sub-sub-tropical Thornbury. 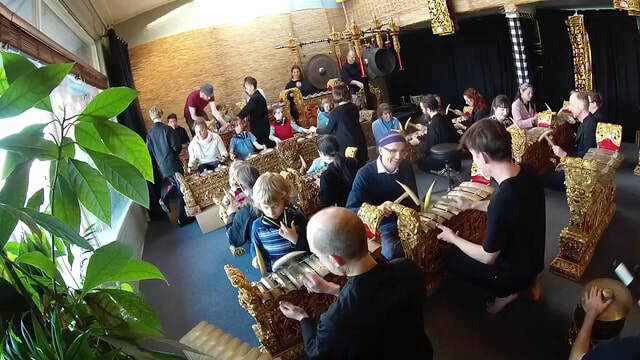 From bamboo to bronze, hear drums, chimes and gongs, all in the space of one afternoon. See the schedule for your chance to have a real hands-on Balinese music making experience. No passport required! *children welcome but must be accompanied by an adult. 2:15, 3:15 & 4:15 - hands-on workshops - all welcome. All welcome to drop in and check out the free activities anytime from 2pm to 5pm. 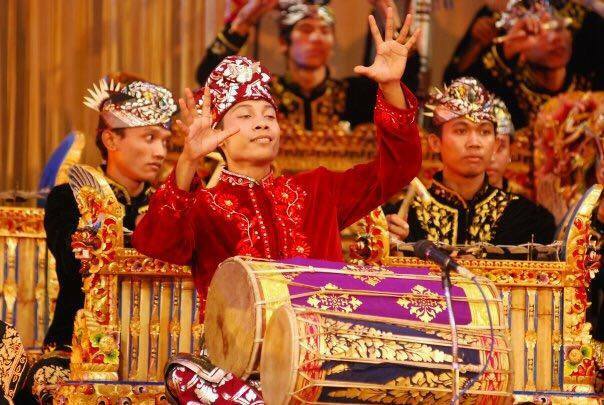 Come and experience the shimmering sounds of Balinese music & dance by the Yarra River… Led by a visiting Balinese master musician, Melbourne ensemble Gamelan DanAnda brings to life the mesmerising sound of Bali's bronze percussion orchestra. Featuring stunning performances by dancers from Widyaluvtari. It's outdoors, family friendly, and FREE! GDA will be working intensively with a guest Balinese master teacher from 14th November to the 5th of December. Pande “Yande” Mardiana is a leading light in the younger generation of Balinese musicians active on the island today. He teaches regularly at (music and dance) at UNHI Denpasar (Hindu Uni), and STIKOM Denpasar. His father a well known musician and his mother a respected dancer, Yande’s lineage is providence personified. Earning his stripes by playing in his father’s professional performance ensemble from an early age, Yande is an example of the practical school of performance. He is also formally qualified in the art of Balinese music, earning a Master of Music title from ISI conservatory. Yande has travelled to many countries outside of Indonesia in his career as a master drummer and ensemble director, including parts of Europe and Asia. He is highly sought after as a guest ensemble director within Bali too, his experience as a teacher is second to none in his generation. He is often found performing in cutting edge ensembles such as Windha’s acclaimed “Jes Fusion”, but is equally at home in the ancient tradtional music of his beloved homeland, possessing a respectful appreciation for the dignified culture all too rarely found in younger musicians these days. A creative composer, Yande’s ability to work with musicians of all backgrounds has won him aclaim in his past commissions, making him the perfect inclusion in an Australian community ensemble project.